Obituary – Dolezal, Sarah Lou (Gibson) « Perry High School Alumni Association, Inc.
﻿Student Council ’44-’45; Band ’44-’47; Wrestling Queen ’44-’45; Y-Teens Vice-Pres. ’46-’47; Jr. Class Sec. ’45-’46; Teen Town Treas. ’45-’46; Teen Town Council ’46-’47; Annual Follies ’45’46; Football Queen Attendant ’44-’45. Sarah Lou Dolezal, 79, of Perry, Oklahoma, was the daughter of Charles B. and Moreta Parkin Gibson. 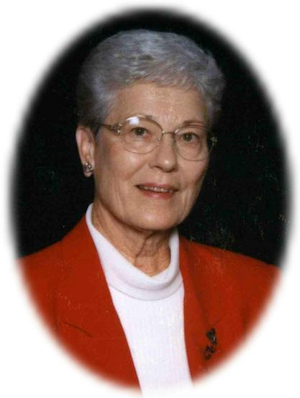 She was born on December 2, 1929 in Slick, Oklahoma and died Tuesday, June 16, 2009 at the Stillwater Medical Center. On August 13, 1946, Sarah Lou married James R. Jim Dolezal in Wellington, Kansas. She was a 1947 graduate of Perry High School. Sarah Lou was an active member of PEO and enjoyed walking, listening to music, watching Dancing With The Stars and visiting with her family and friends. She cherished the time she spent with her grandchildren. One of her gifts of community service was through education which began when Sarah Lou and Norma Yowell were instructors for the Perry Cooperative Kindergarten. This gift continued as Sarah Lou served as a teacher’s aide for children with special needs in the Perry Public School System. Funeral services will be 2:00 p.m. Friday, June 19, 2009 at the First United Methodist Church in Perry. Rev. Ed Cook will officiate. Interment will be in Grace Hill Cemetery. Services are under the direction of Brown-Dugger Funeral Home. Memorials may be made to the American Cancer Society in care of Brown-Dugger Funeral Home, 1010 N. 7th Street, Perry, Oklahoma 73077. 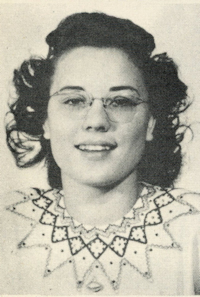 In addition to her husband, Jim, Sarah Lou is survived by one son, John Dolezal and his wife, Mary Louise, of Perry, Oklahoma; five grandchildren, Amy McCleery of Seattle, Washington, Chad Bryant and his wife, Lou, of New Zealand, Joshua Dolezal and his wife, Katrina, of Oklahoma City, Oklahoma, Sarah Bourland of Pawhuska, Oklahoma and Aaron Bryant and his wife, Sarah, of College Station, Texas; nine great-grandchildren and several nieces and nephews. She was preceded in death by her parents, Charles and Moreta Gibson, one daughter, Deborah Ann Bryant, one sister, Anetta Gibson, and one brother, Thomas C. Gibson.